With only a few days left before Christmas you might still be scrambling to find that perfect gift. Maybe you have that one family member or friend who is just impossible to shop for. Maybe you want to give the writer of your favorite blog something really cool that he will appreciate forever. You should totally buy me, I mean that person we were talking about earlier, a replica Black Axe. 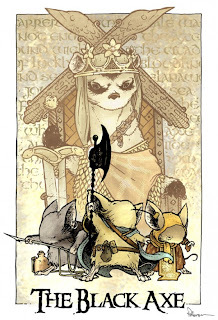 If you’ve been reading Mouse Guard the Black Axe is already familiar to you. 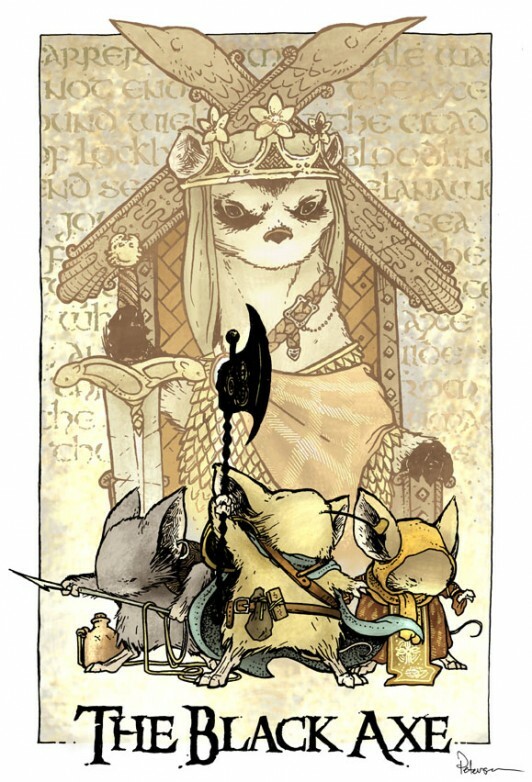 First mentioned in Fall 1152 the Black Axe was a weapon wielded by a legendary Guard Mouse who eventually became known as the Black Axe. I’m not going to give anything away about who the Axe belonged to or who eventually was chosen to carry it, because you really should be reading all of that for yourself. Let’s just agree that the Black Axe is awesome. Skeleton Crew Studio is now making licensed replicas of the Black Axe. 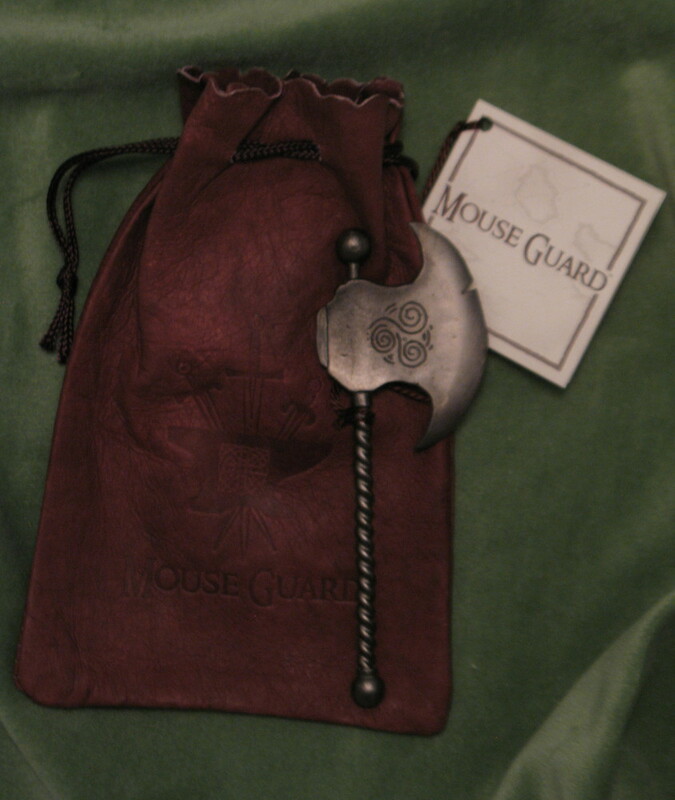 30 dollars gets you your very own axe packed in a brown leather pouch. 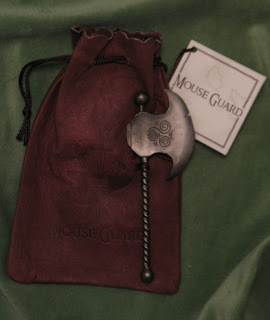 The axe is actual size, so it is around 4.25 inches long. To get the proper look it has been cast in dull black nickel-plated pewter. The axe won’t ship until January but I think it is worth waiting for.